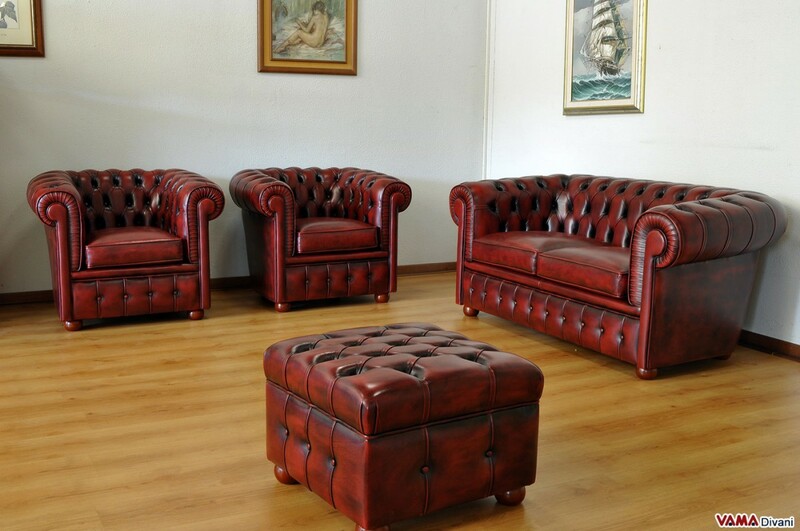 Chesterfield Leather footstool. 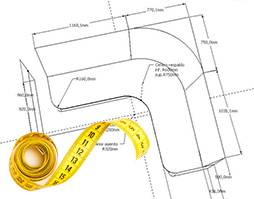 Create your own custom model! 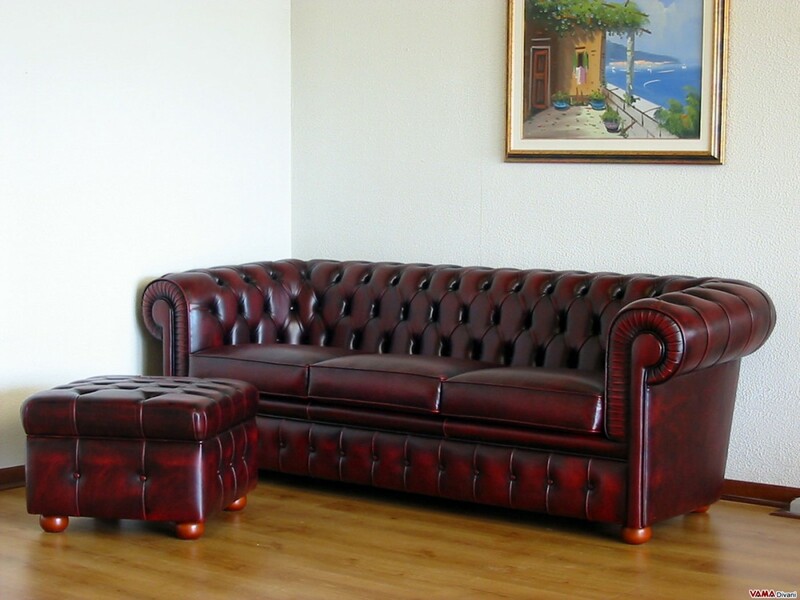 Traditional Chesterfield footstool realised in cowhide leather, a top quality leather, and embellished by buttoned details and by the other typical finishing of the classic sofa with the same name. 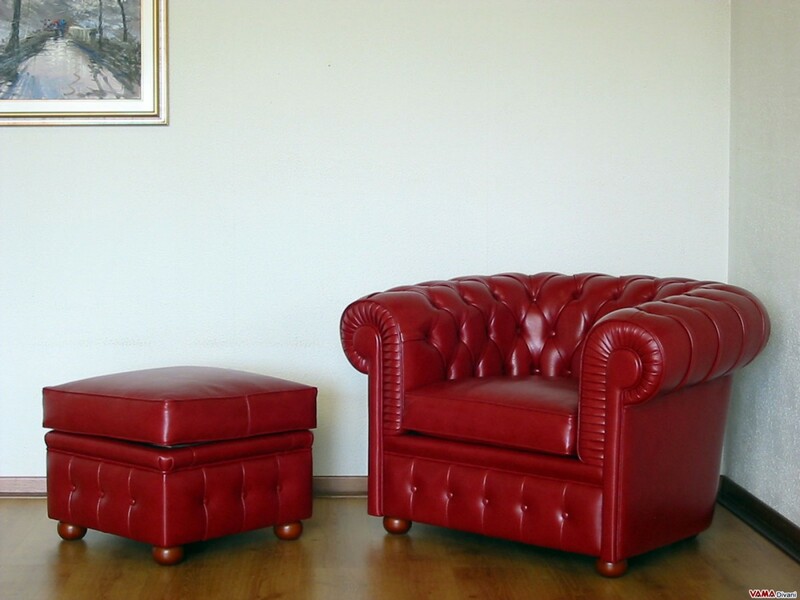 A very refined and elegant piece of furniture, which can be customised in any leather upholstery and colour, very valuable for rooms furnished in classic style but it looks good even in modern living rooms. 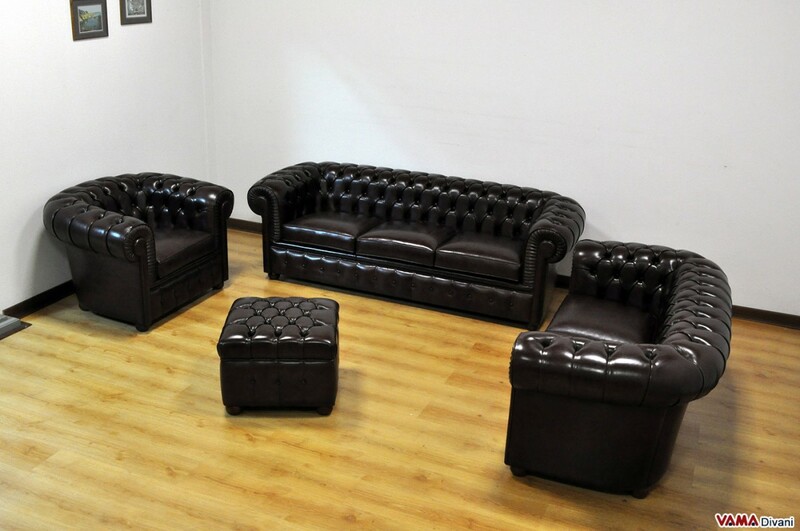 Contact us for a free quote to realise your own custom Chesterfield footstool. 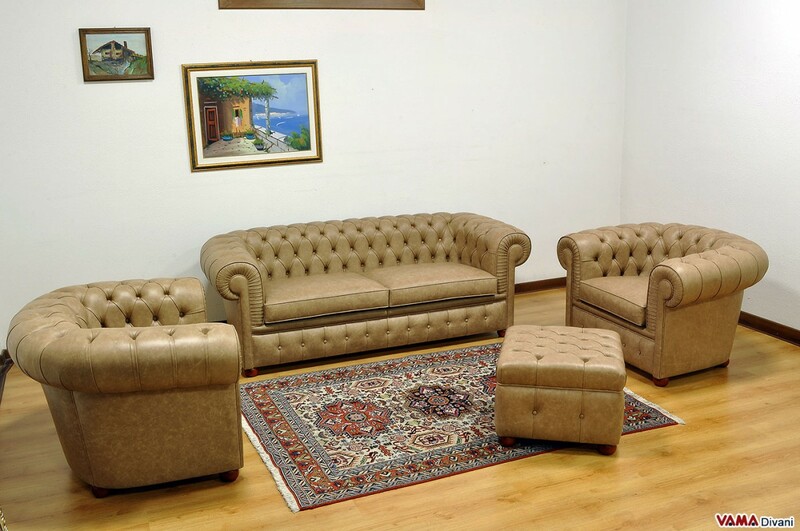 The Chesterfield footstool is a classically designed footstool exclusively for use with the famous sofa of the same name, presenting the same features. 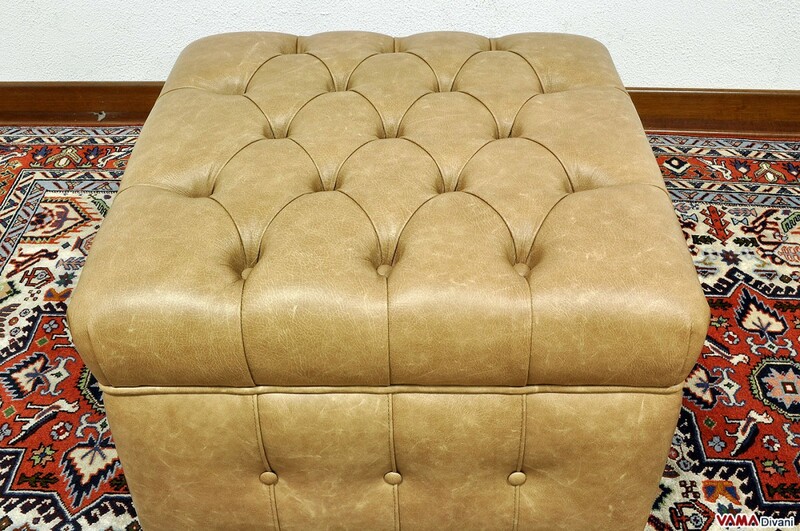 Completely upholstered in cowhide leather, a top quality and stylish leather, this beautiful footstool is enhanced by buttoned details, or the typical craftsmanship of the Chesterfield sofa realised by applying small buttons of the same colour of its upholstery. 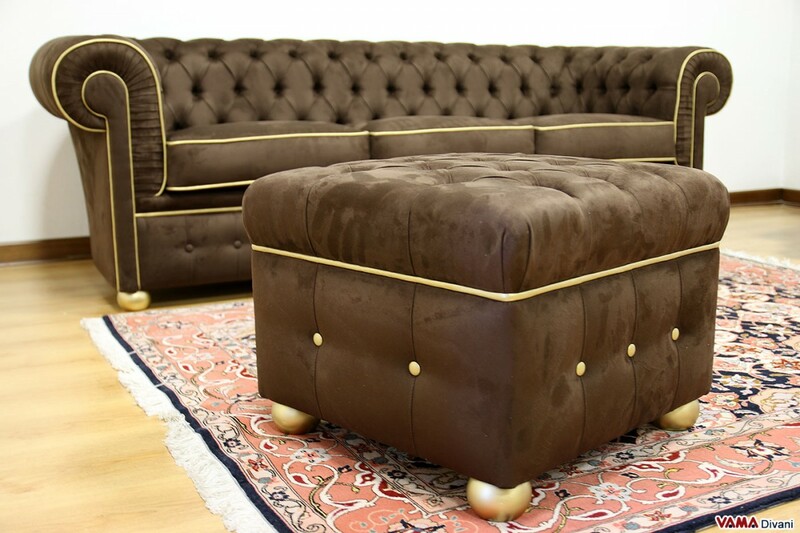 On the surface of the footstool the buttoned details are perfectly applied, with diamond patterns, while its sides are made with a similar manufacturing which generally embellishes the base of the Chesterfield sofa. 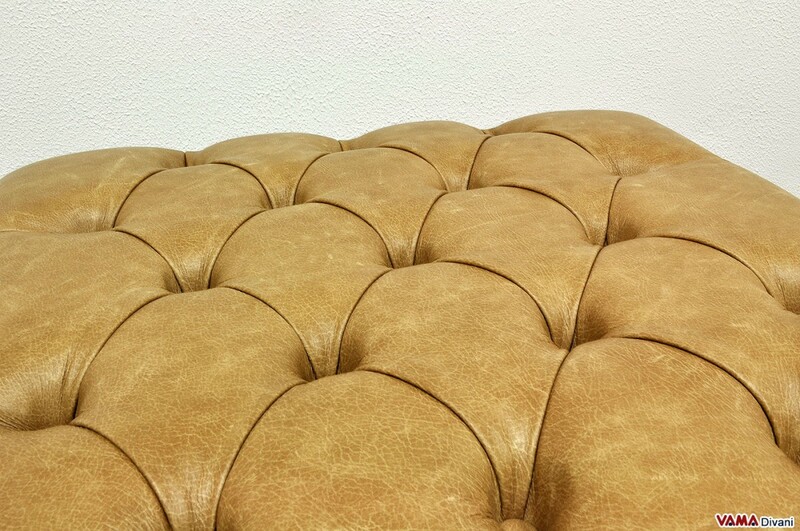 This footstool is even more similar to the Chesterfield sofa thanks to its elegant wooden feet. 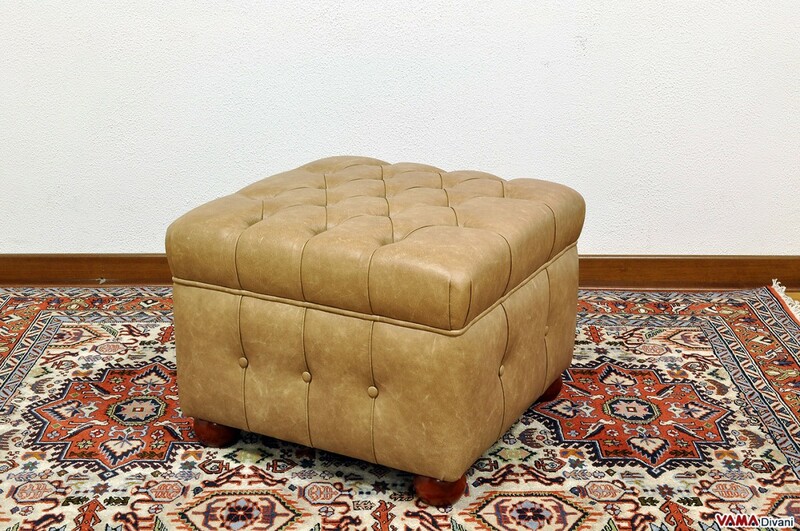 Although, as mentioned, this footstool is made specifically to be placed in front of a Chesterfield sofa, thanks to its beauty and accurate finish, it looks good even in a completely different kind of environments. 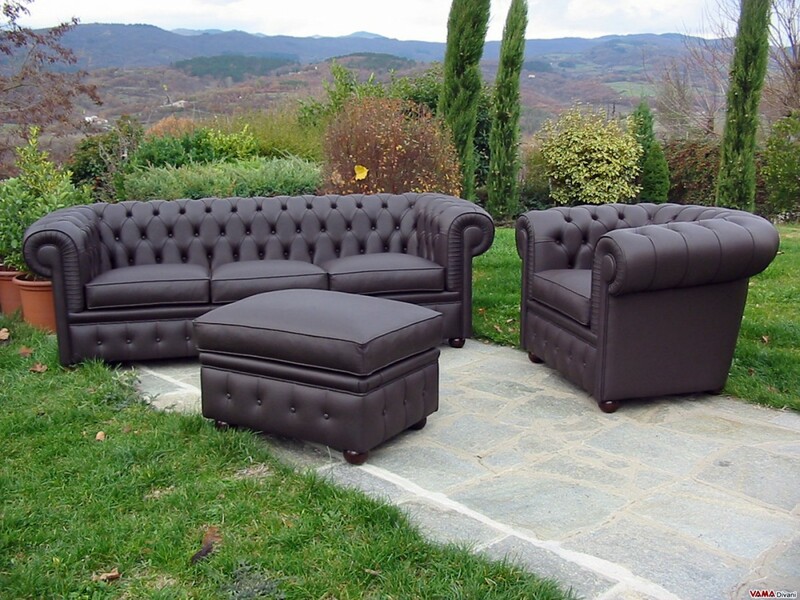 VAMA Divani can also realise this Chesterfield footstool in any custom size.